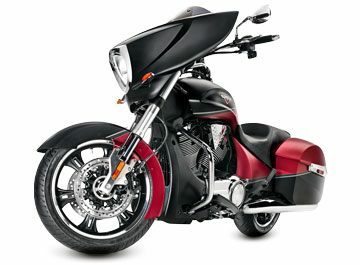 Want to stack this bold bagger motorcycle up against every other motorcycle in its category? Do it. For all-out riders, few motorcycles have this much power and feel as comfortable in the seat as the Victory Cross Country. It's a rider favorite among the Victory Motorcycles lineup with performance, comfort and storage to get you where you want to go. Hang on and enjoy the ride.